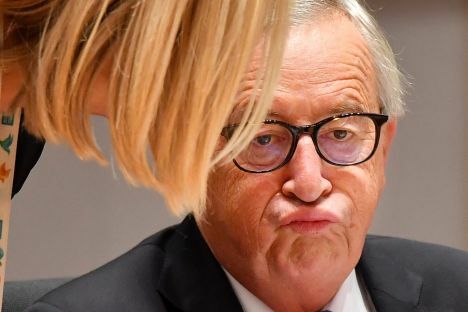 The head of the executive body of the European Union, Jean-Claude Juncker, has stated the the United Kingdom will only receive a short extension of the Brexit date, if its Parliament passes the withdrawal deal. «If the United Kingdom is in a position to approve the Withdrawal Agreement with a sustainable majority by 12 April, the European Union should be prepared to accept a delay until 22 May. But 12 April is the ultimate deadline for the approval of the Withdrawal Agreement by the House of Commons. If it has not done so by then, no further short extension will be possible,» the President of the European Commission stated in Brussels on Wednesday, April 3. Taking note of the debate in the British Parliament about the country’s future relationship with the EU, Juncker expressed flexibility: «We stand ready to refer [in the Political Declaration of the Withdrawal Agreement] to a range of options, from a free trade agreement, to customs arrangements, to a Customs Union all the way to the European Economic Area». Meanwhile in the British parliament, a cross-party group of legislators has forced through an emergency bill with a single-vote majority to instruct the British government to seek an extension to article 50 and avoid a no-deal Brexit, The Guardian reports. No-deal Brexit after April 12, however, seems to be the most likely outcome of the process as the Withdrawal Agreement has been voted down three times by British MPs.